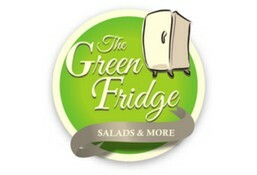 The Green Fridge is currently closed for delivery and it will open at 21 Apr 09:00 AM . Banana, Peanut Butter, Milk, Oats, Honey, Cinnamon, Chia Seeds With Dark Chocolate Shaving. Chia Seeds, Low Fat Milk, Fresh Mashed Mango, Granola, And Topped With Mango Slices. Tortilla Bread, Steak Strips, Green Pepper, Red Pepper, Yellow Pepper, Onions, Guacamole, Cheddar Cheese. Sweet Potato, Dried Apricot, Broccoli, Quinoa, Red Beans, Kale, Almonds With Summaq Dressing. Quinoa, Carrots, Cherry Tomatoes, Spinach, Green Beans, Cherry Tomatoes With Honey Mustard Dressing. Honey Granola, Blueberry Yoghurt, Biscuits With Blueberry. Eggs, Quinoa, Mushroom, Avocado, Spring Onions. Tortilla Bread, 3 Scrambled Eggs, Beef Bacon, Cheddar Cheese, Mushroom With Baby Spinach. Lentil, Carrots, Potato, Crunchy Bread And Cilantro. Tortilla Bread, Chicken, Avocado, Tomatoes, Jack Cheese, Coriander. Tortilla Bread, Tuna, Corn, Spinach, Tomatoes, Light Mayonnaise, Lemon. Feta Cheese, Mozzarella Cheese, Black Olives, Red Pepper, Rocca, And Red Onions On A Flat Tortilla Bread. Halloumi Cheese, Black Olives, Rocca, Tomatoes With Basil Sauce. Chicken, Red Cabbage, Edamame, Carrots, Green Onion, Lettuce, Sesame Seeds, Flax Seeds, Dry Noodles With Avocado Dressing. Lettuce, Mint, Cherry Tomatoes, Cucumber, Green Pepper, Green Onions, Grilled Halloumi Cheese, Pomegranate, Crunchy Bread With Classic Lemon - Pomegranate Dressing. Spinach, Beetroot, Pearl Barley, Chickpeas, Goat Cheese, Walnut, Carrots With Balsamic Dressing. Chicken, Lettuce, Cherry Tomatoes, Avocado, Eggs, Beef Bacon, Blue Cheese With Blue Cheese Dressing. Rocca, Chicken, Green Apple, Red Beans, Walnut, Raisin, Sweet Pepper, Carrots, Green Beans, Parmesan Cheese With Vingrette Dressing. Pasta, Black Olives, Onion, Tomatoes, Green Beans, Artichoke, Sweet Pepper, Mozzarella Cheese With Basil Dressing. Broccoli, Chickpeas, Quinoa,Sweet Corn, Cruched Almonds, Peas, Sweet Pepper, Date With Lemon-Tahini Dressing. Tuna, Sweet Corn, Carrot, Lettuce, Black Beans, Green Pepper, Cherry Tomatoes With Dijon Mustard Dressing. Kale, Lentil, Cilantro, Pomegranate, Cherry Tomatoes, Green Pepper, Green Onion, Pine With Cumin-Lime Dressing. Kale, Grilled Steak, Avocado, Green Beans, Sweet Pepper, Cherry Tomatoes, Feta Cheese With Chimichurri Dressing. Couscous, Black Beans, Sweet Corn, Beetroot, Pomegranate, Rocca, Feta Cheese With Balsamic Dressing. Sweet Potato, Black Beans, Sweet Corn, Quinoa, Dried Cranberries, Kale, Feta Cheese, Walnut With Balsamic Dressing. Contain 1 Mini Salad With Your Choice Of Dressing, Mini Chicken Wrap And Small Fresh Juice. Tortilla Bread, Nutella, Banana, Crusted Almond. Kiwi, Strawberry, Banana, Pineapple, Pomegranate, Green Apple And Honey Lime Dressing. Spinach, Pineapple And Lowfat Milk. Green Apple, Kale And Carrot. Avocado, Banana,Lowfat Milk And Honey. Beetroot, Carrot And Green Apple.